San Francisco has changed significantly since I moved here almost 20 years ago. This is especially true for a neighborhood known as the Mission. Once a predominantly Latin community, the Mission is now a mecca for the City’s young, urban subculture, more commonly known as “hipsters.” Seeing hipsters loose on the streets of this neighborhood is similar to seeing new freshman students at your university when you’re a senior: you just feel old. Seeing hipsters shop at the stores you perused when it was still said Latin community because the merchandise is now considered vintage makes you feel dead. Geriatric issues aside, I made my way today to an all-time favorite, Therapy. The owners have since expanded their empire to other Bay Area locations, but nothing beats their firstborn. Therapy consists of two side-by-side standalone stores: one for furniture and the other for clothing and accessories. When I entered the furniture store today, I noticed something interesting hanging from the ceiling. 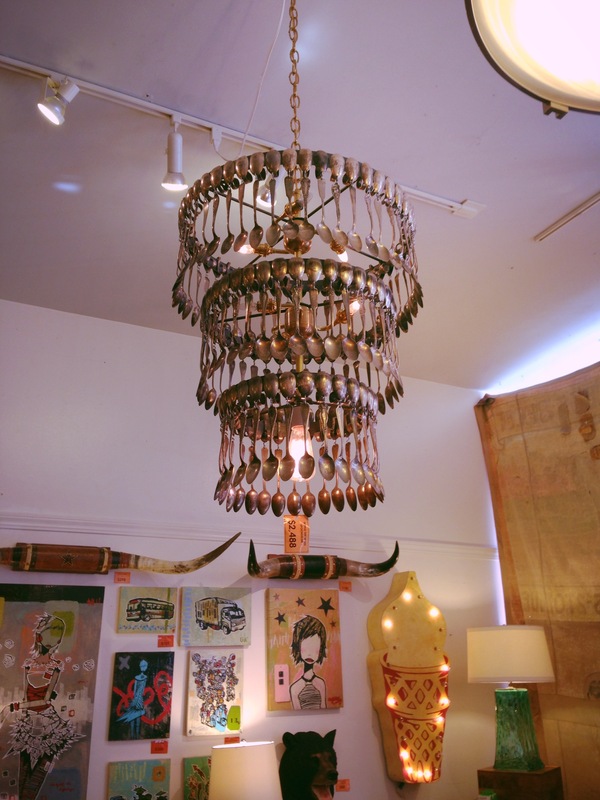 I’m naturally hot for pendant lamps, and chandeliers have always caught my eye. I guess I’m like a crow – I love anything that sparkles and shines. Upon closer inspection, I noticed something peculiar. This wasn’t a typical chandelier made up of faceted crystals and the Queen’s jewels. 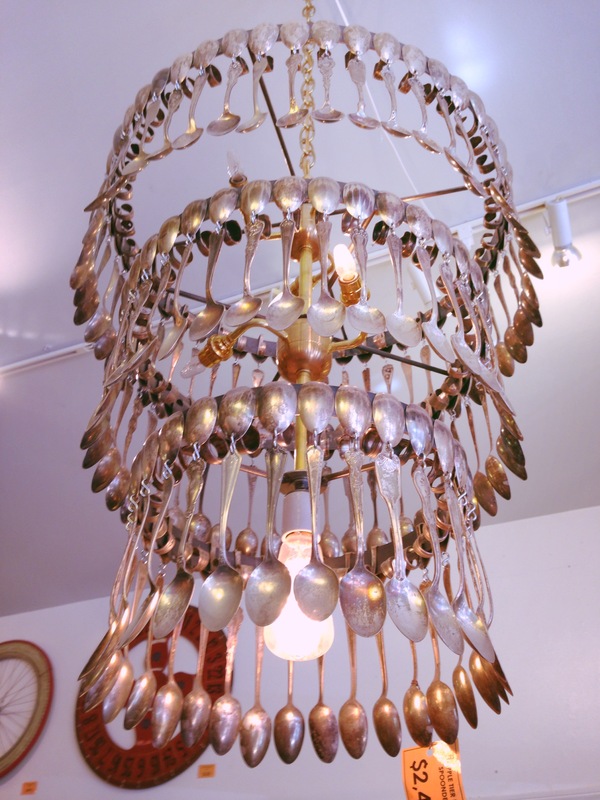 This one was created using old silver spoons! I didn’t love it but I didn’t hate it. It was interesting enough to catch my eye, but I’m not sure if I’d add it to my space. However, with a $2,000+ price tag, I’m sure someone out there will find it hot enough to do just that. What do you think? Hot, or hot mess? Hot in the right setting. I always wanted to own a Pie Shop and have one made of reamers.